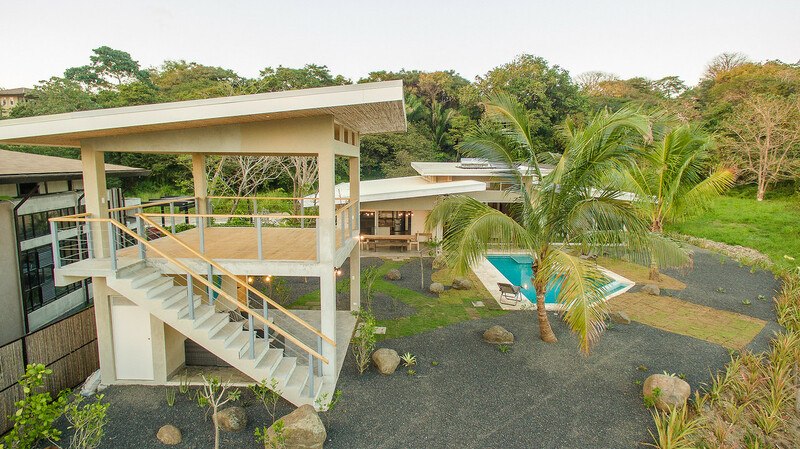 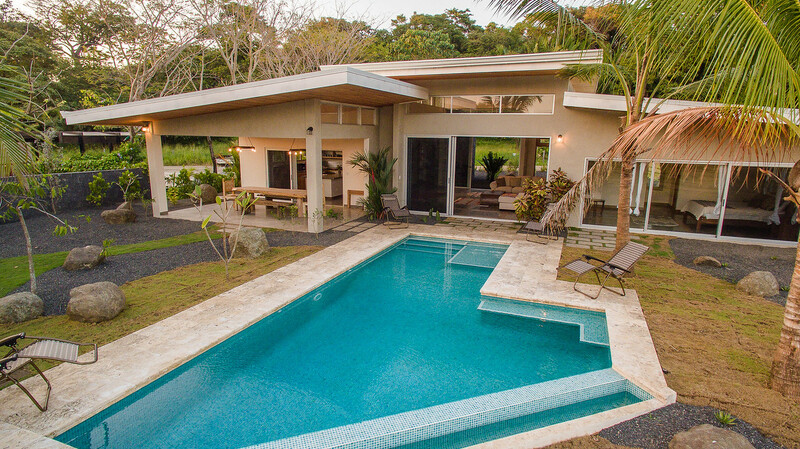 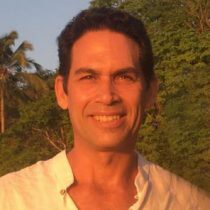 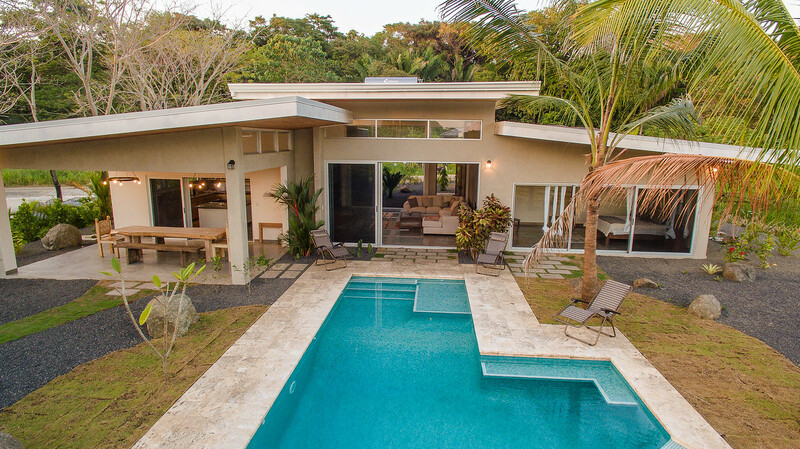 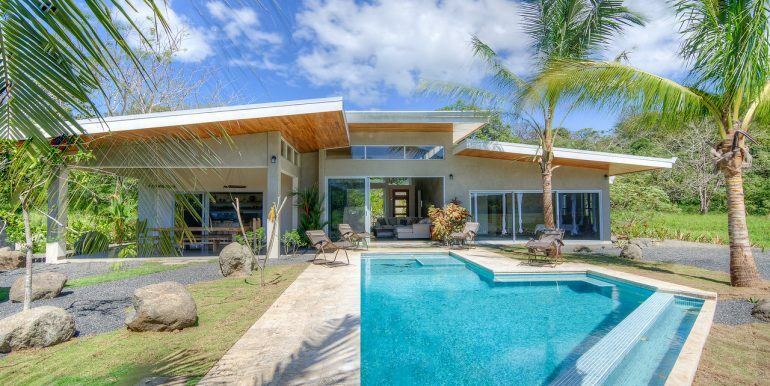 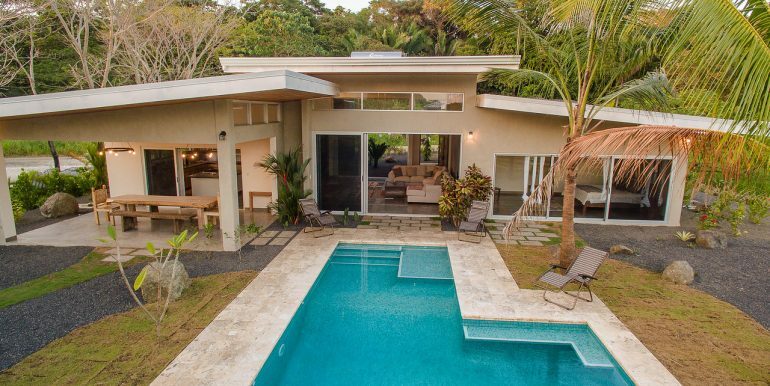 Casa Contenta, designed by the famous architect Don Loria, is a newly built dream home located in Guiones Beach Club (GBC), Nosara. 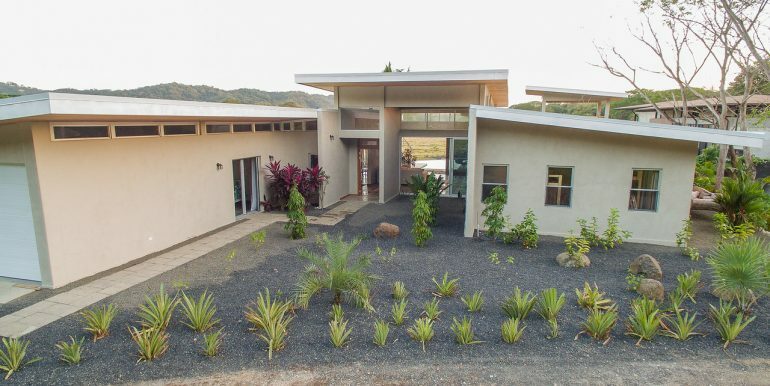 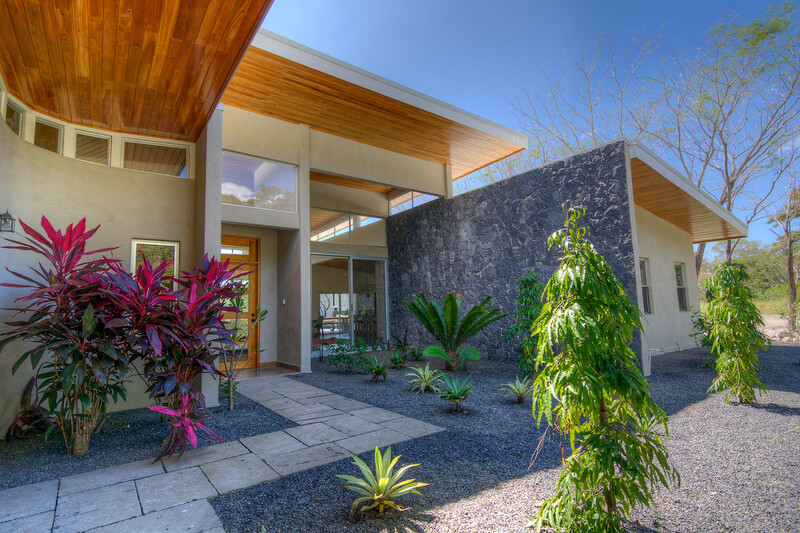 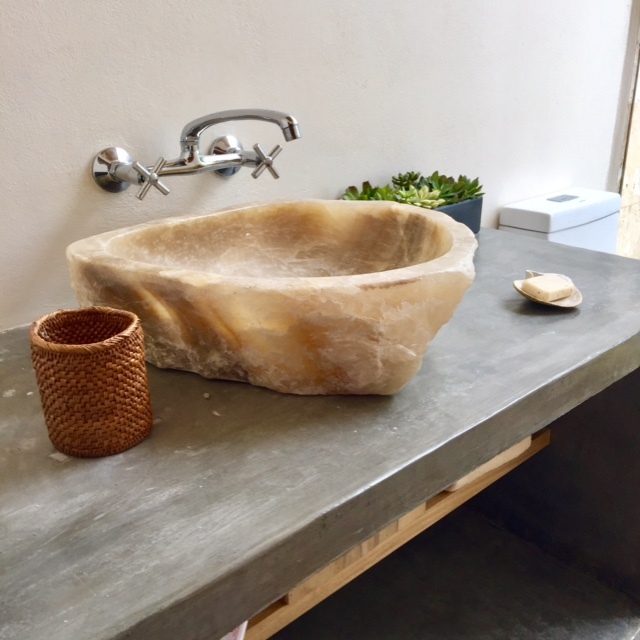 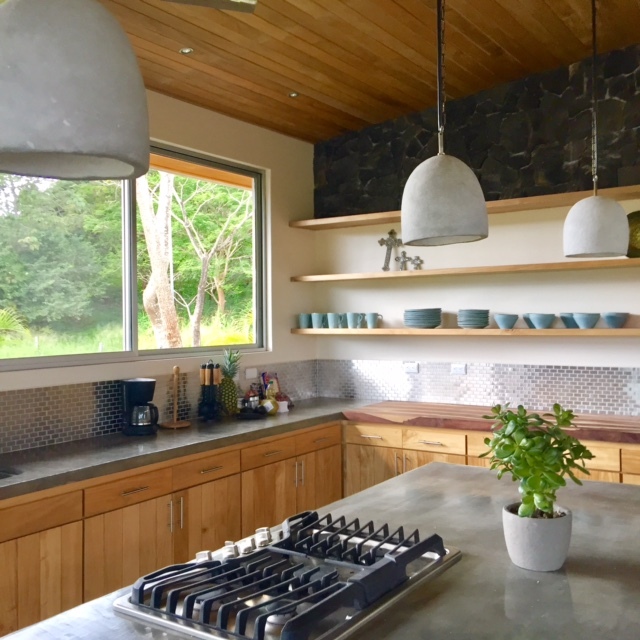 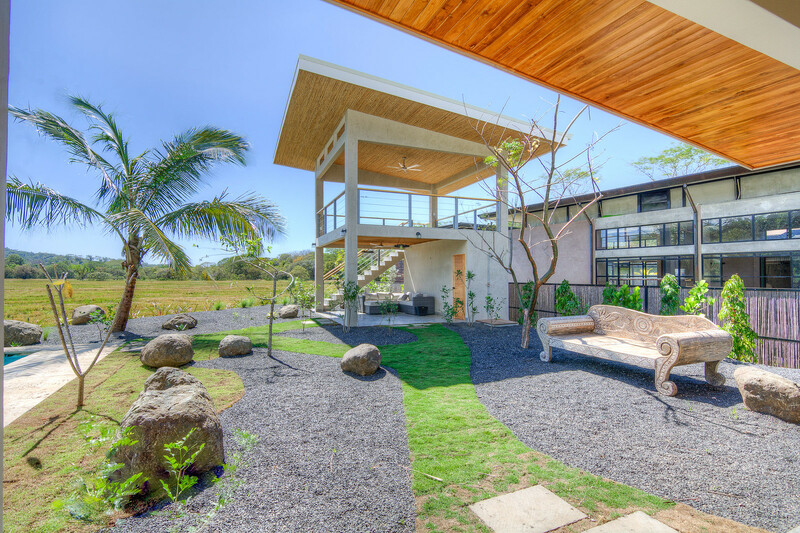 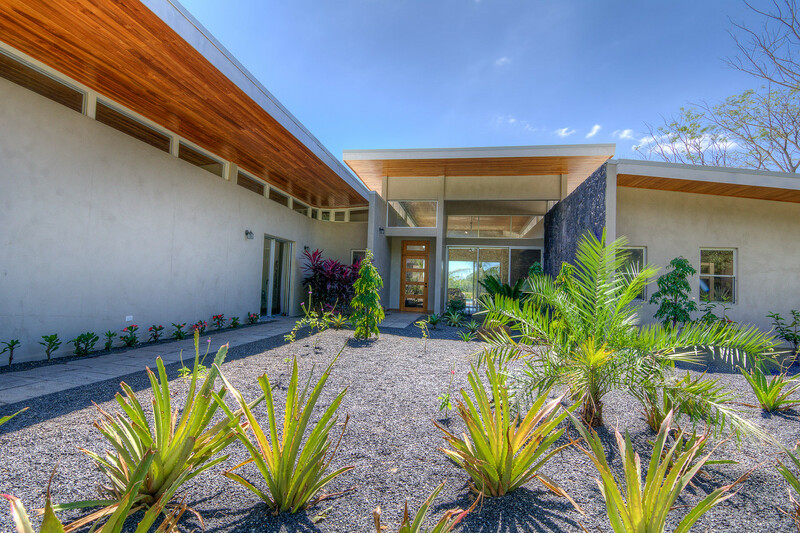 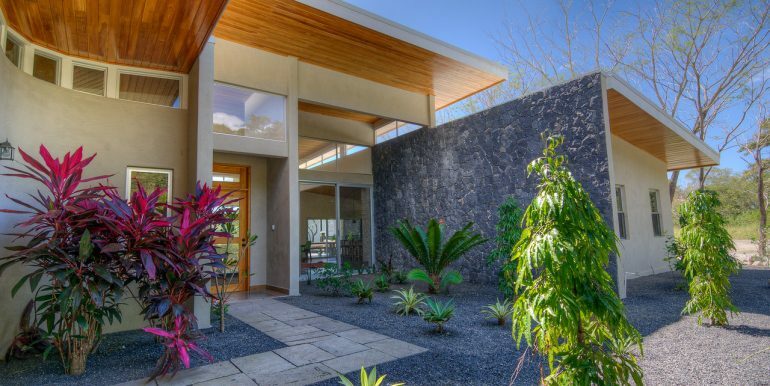 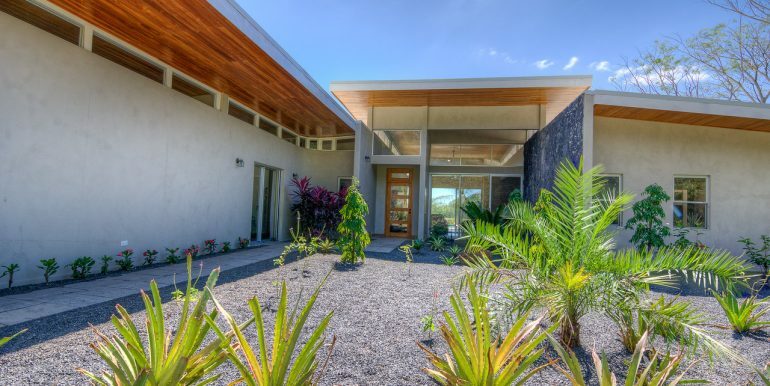 The collaboration of Teak, Bamboo and Melina wood along with the industrial concrete, steel and expansive use of glass produces a modern and sophisticated home. 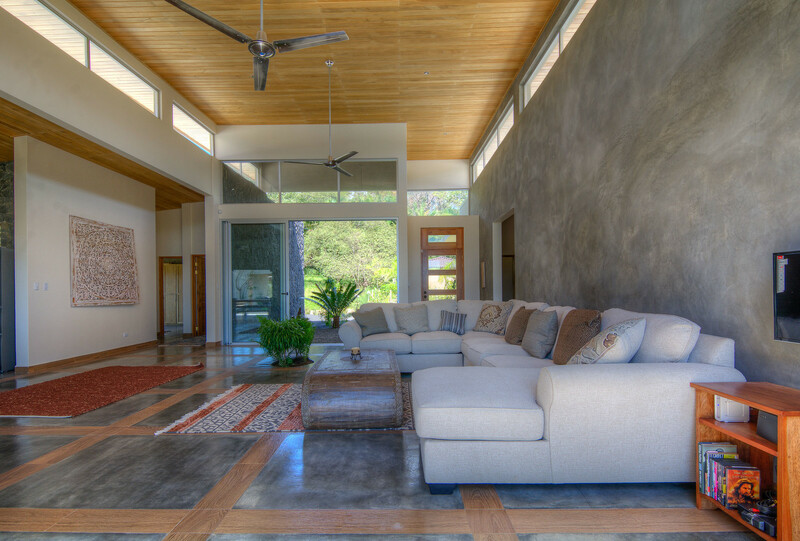 These elements create an amazing association of space, structure and location. 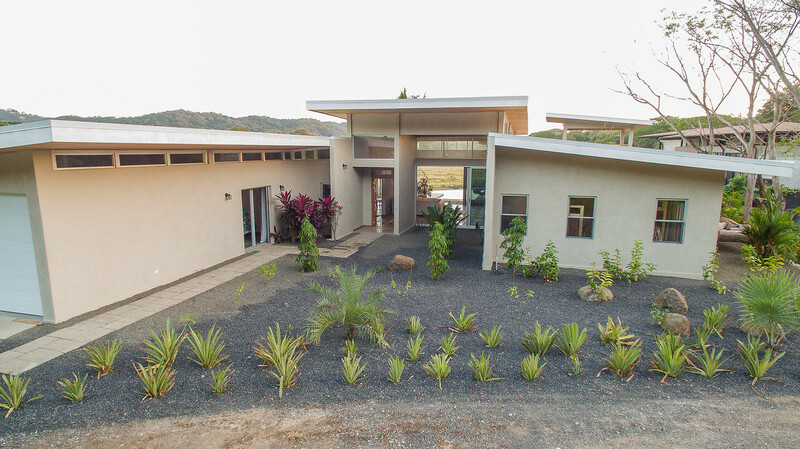 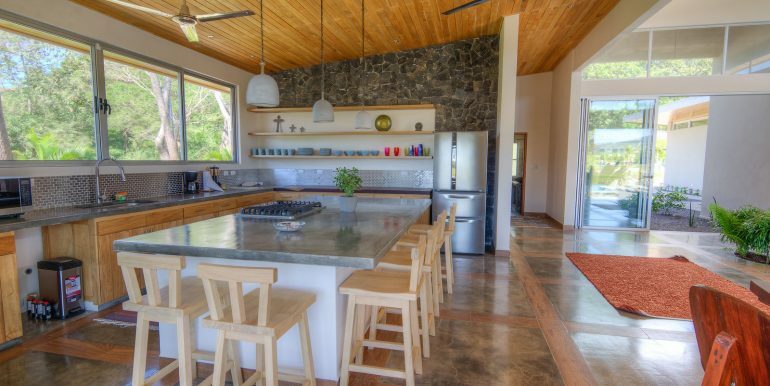 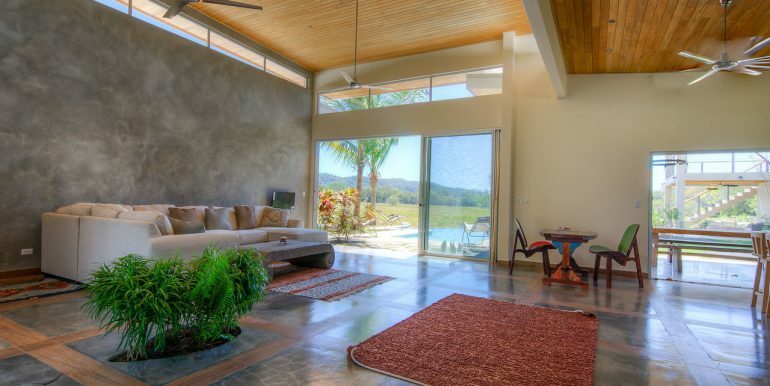 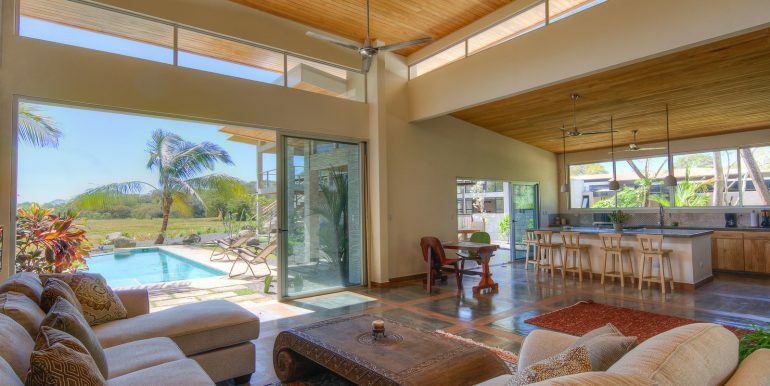 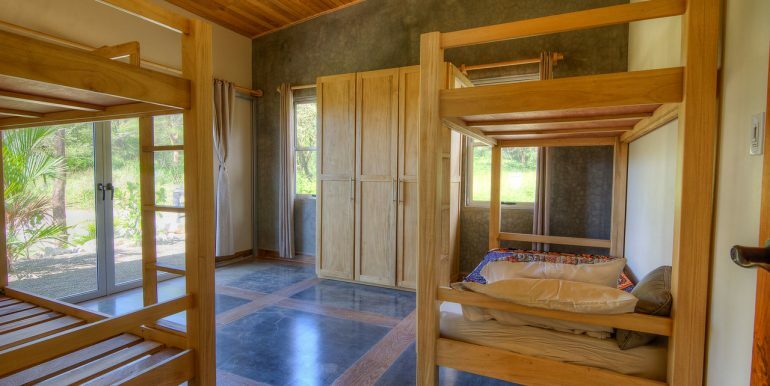 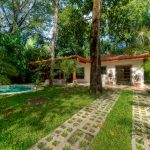 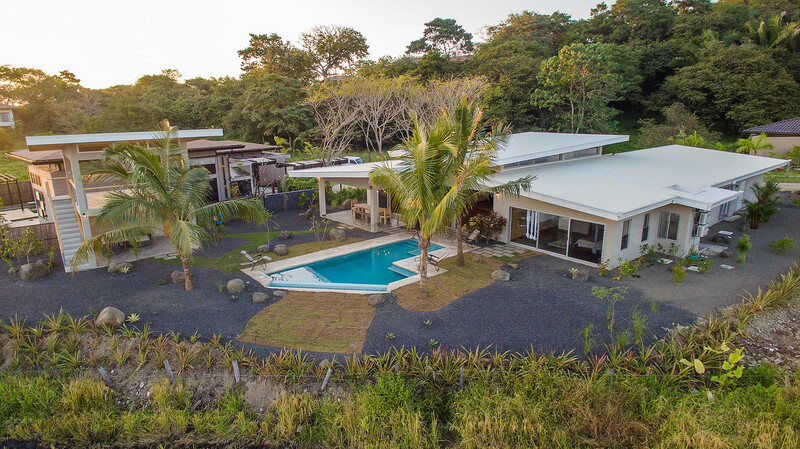 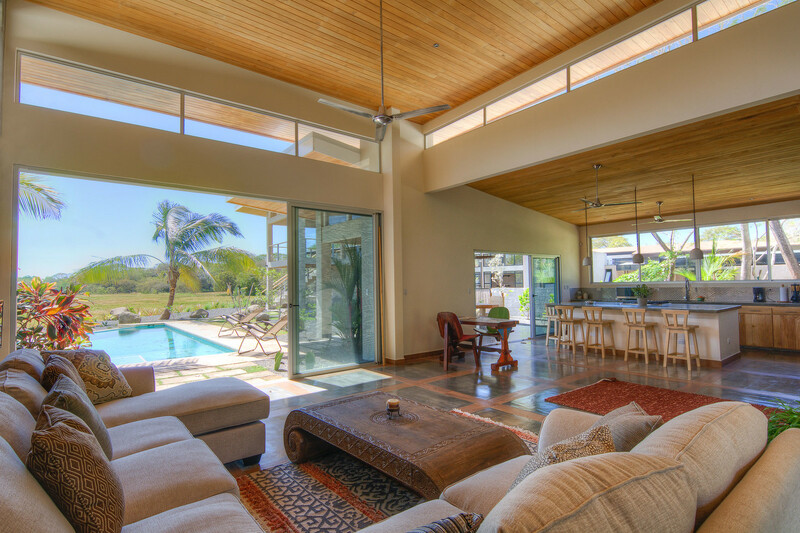 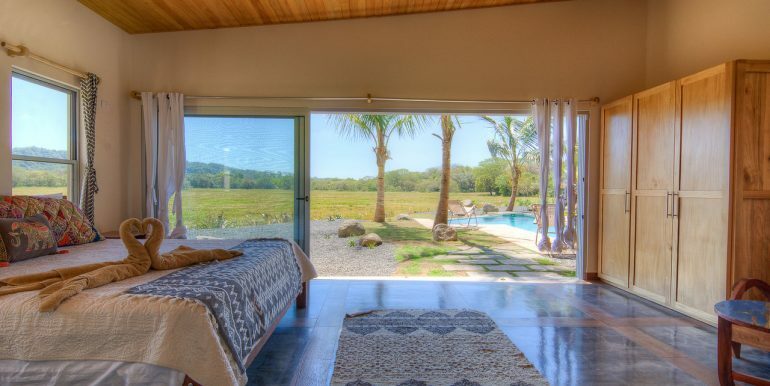 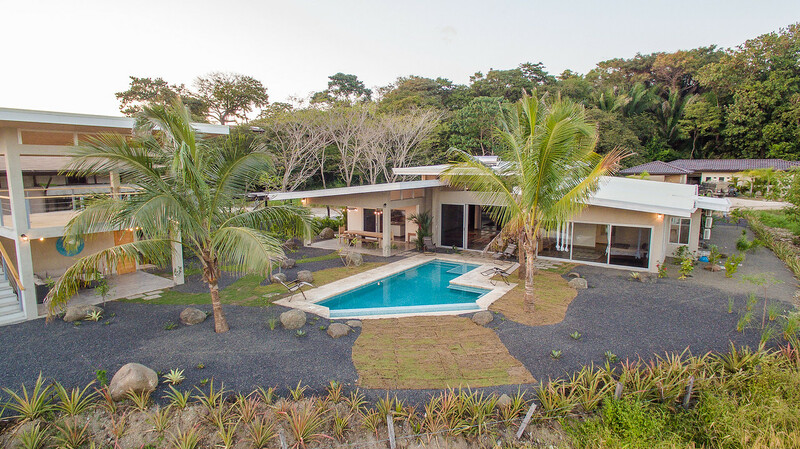 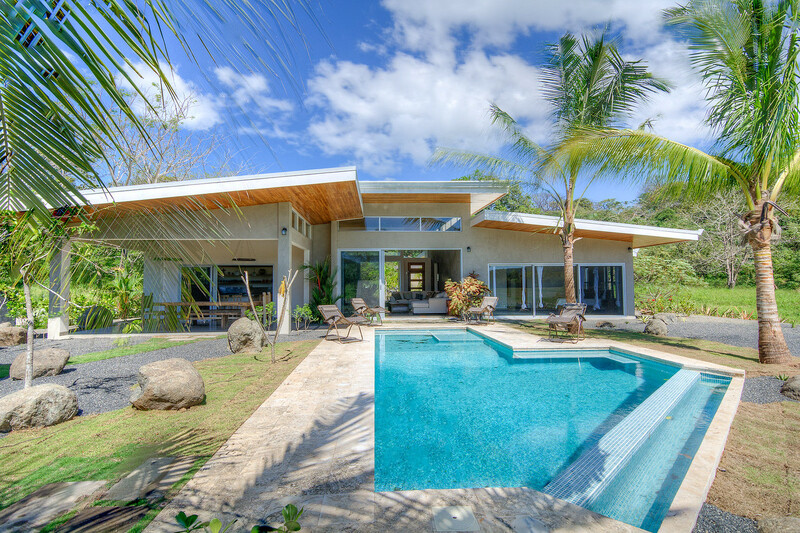 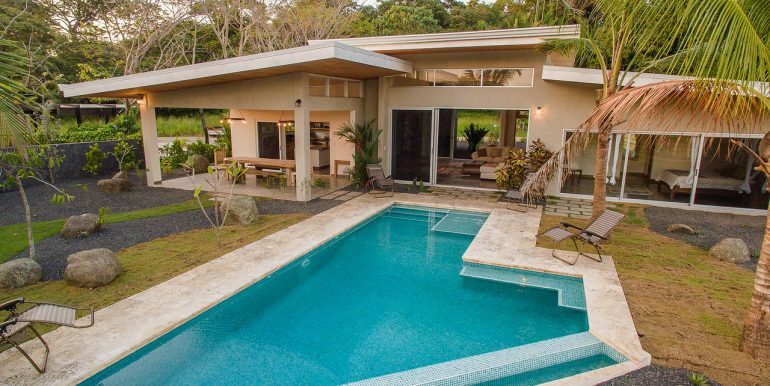 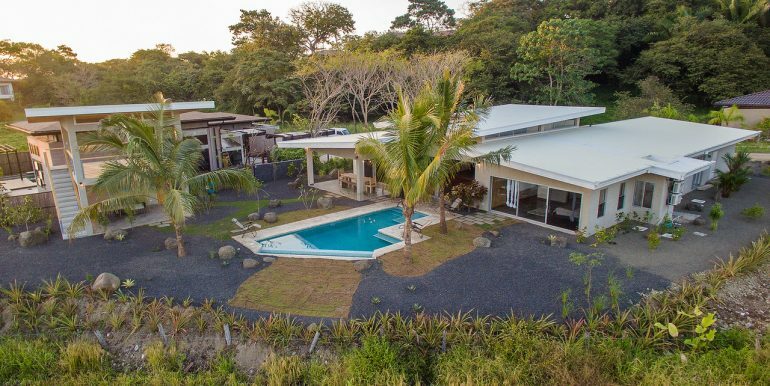 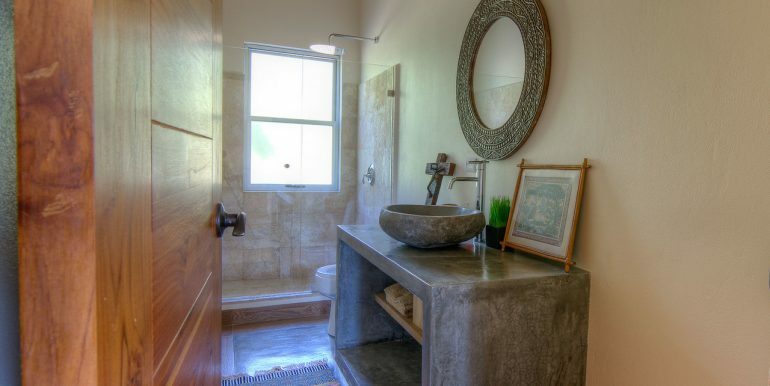 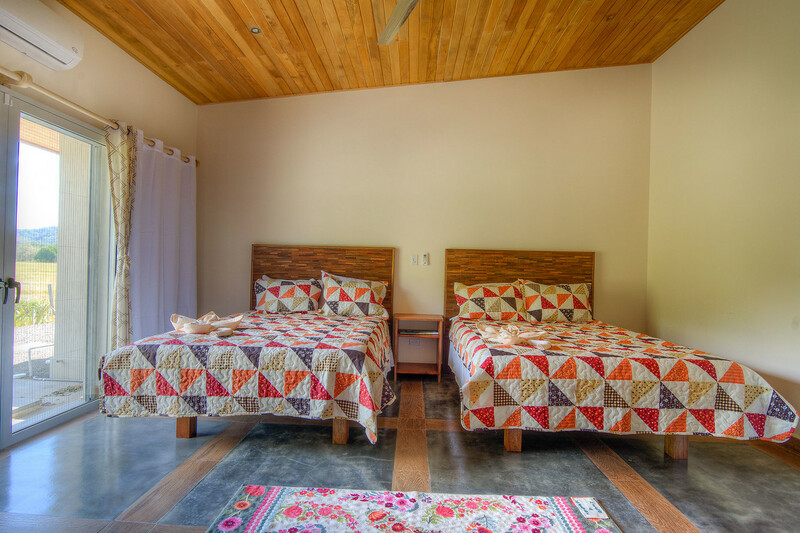 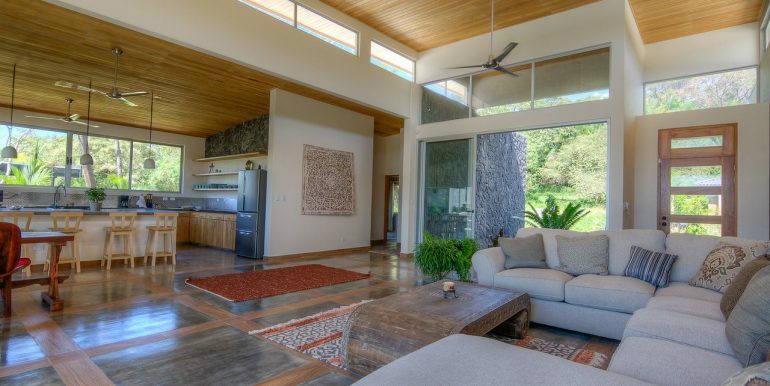 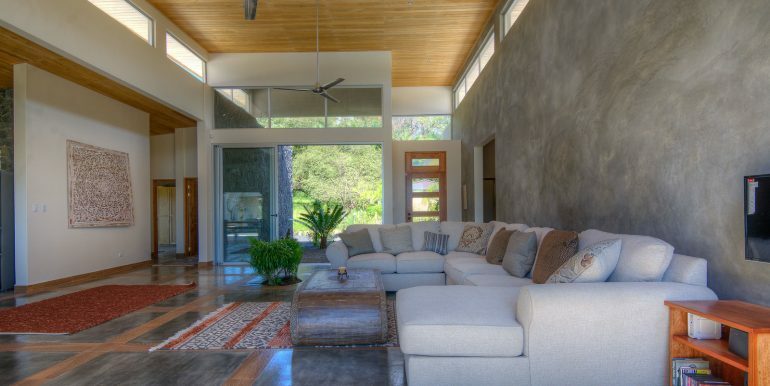 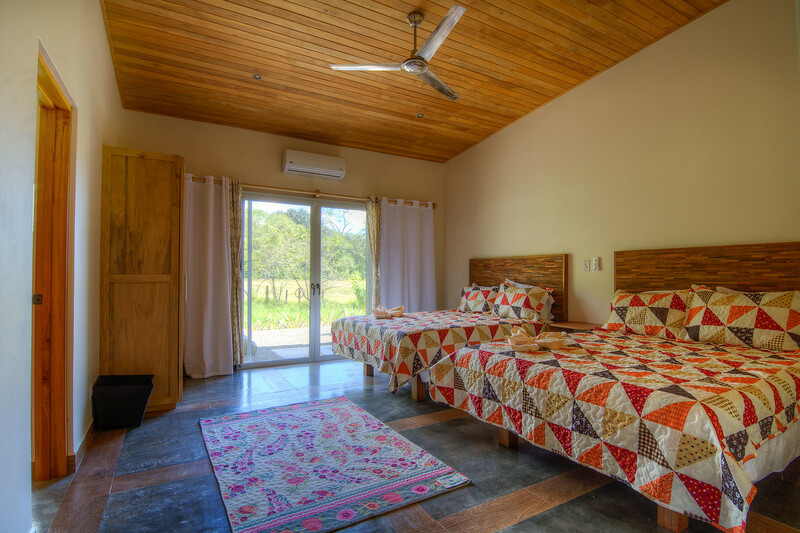 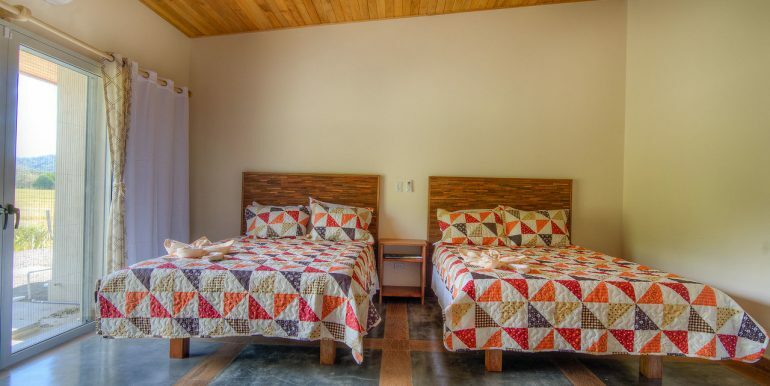 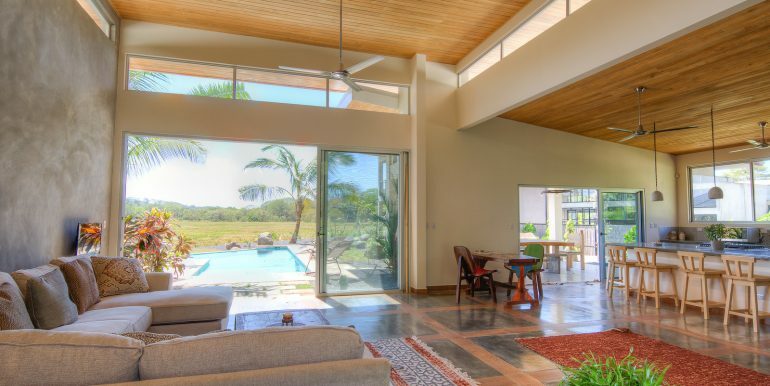 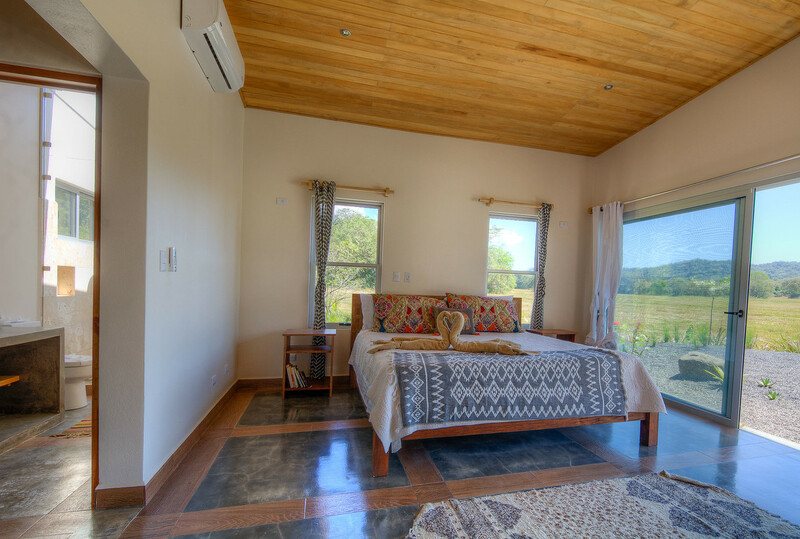 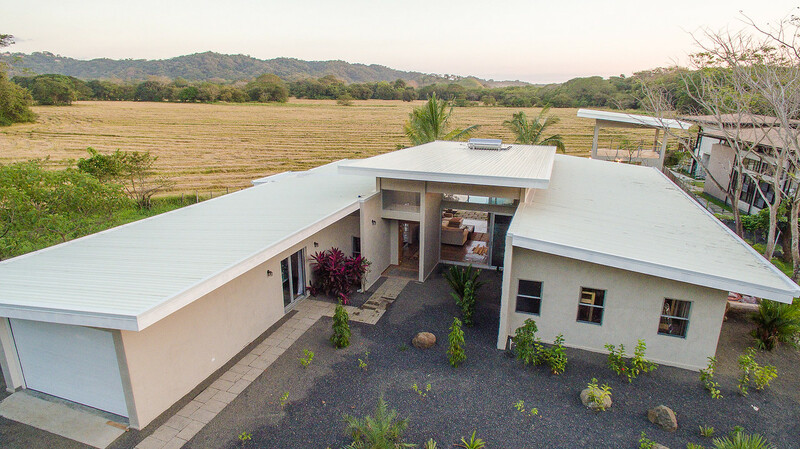 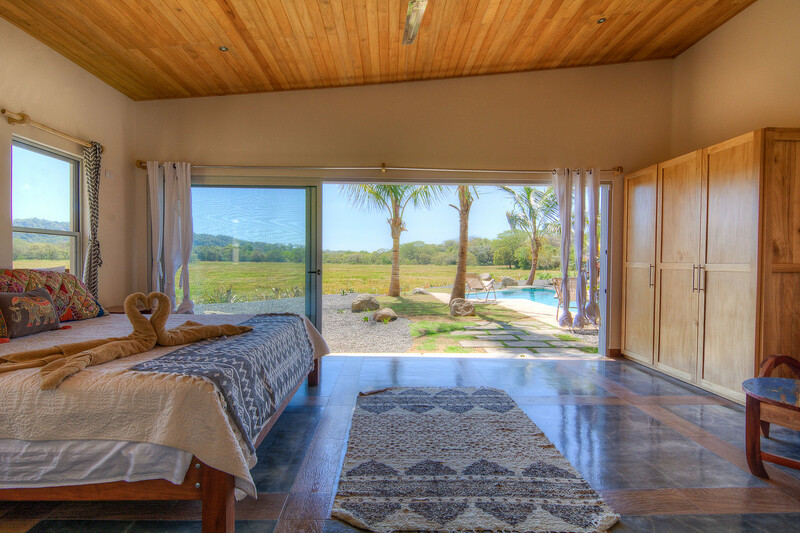 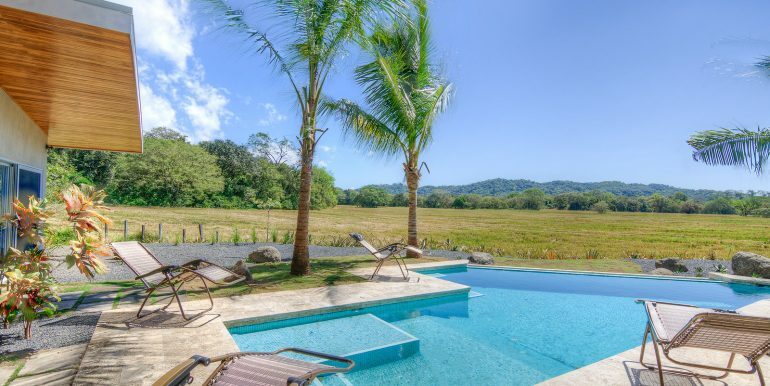 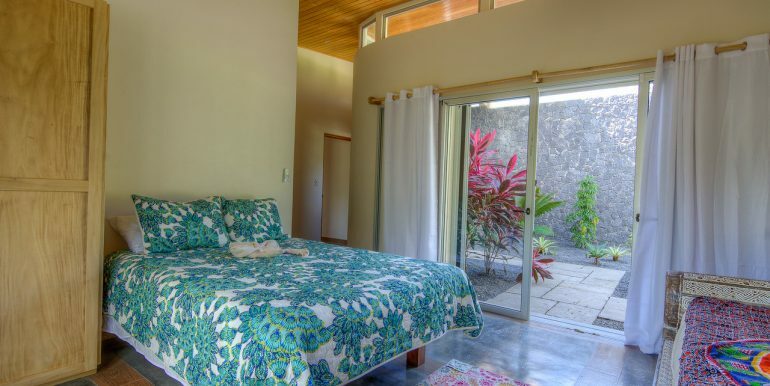 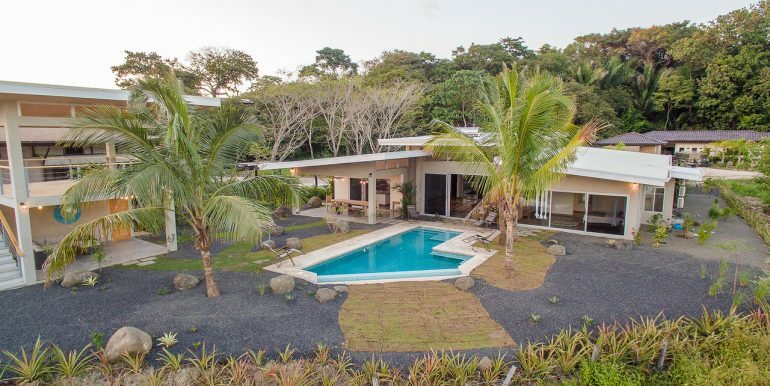 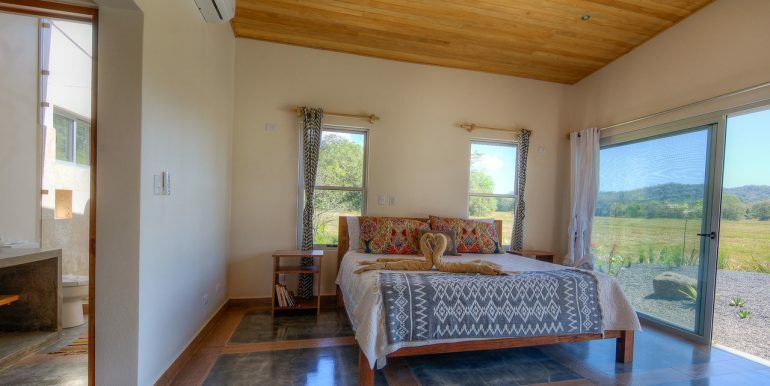 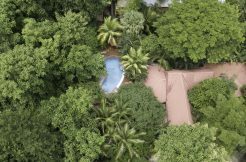 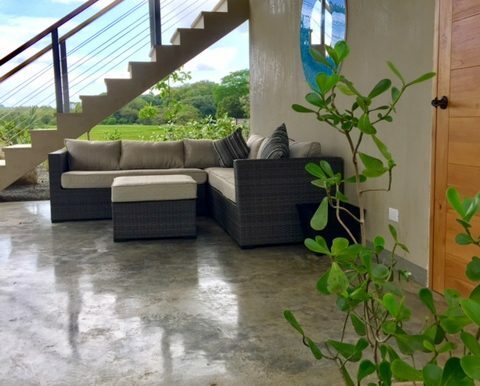 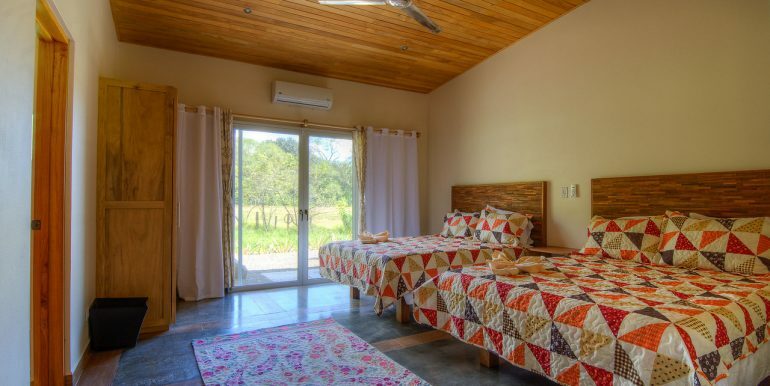 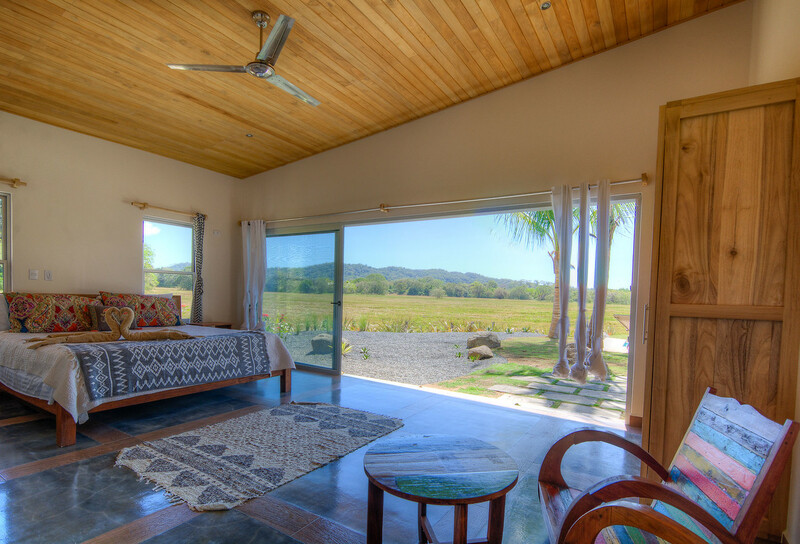 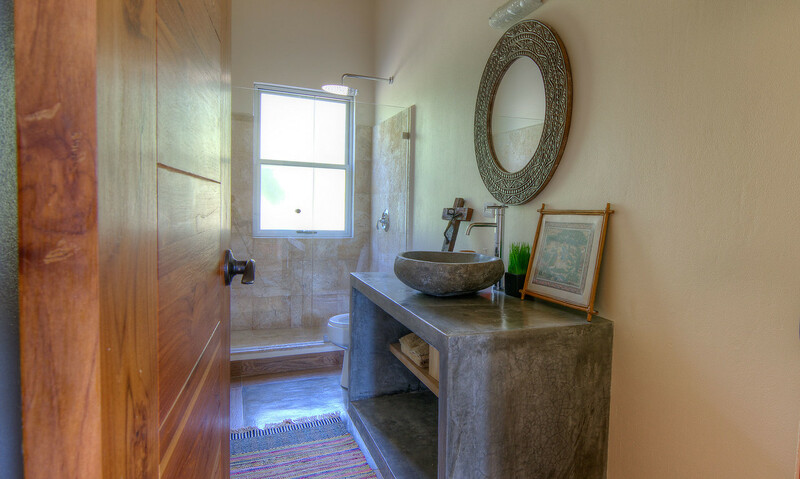 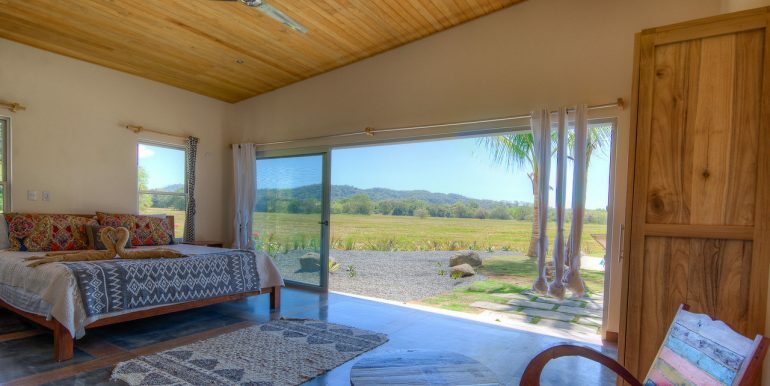 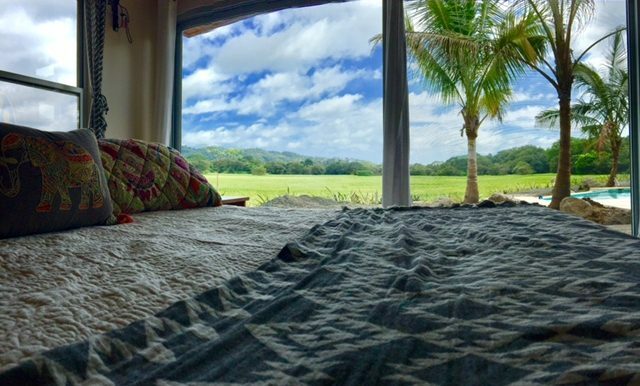 Casa Contenta features an infinity pool and Rancho with Teak floors and stunning views. 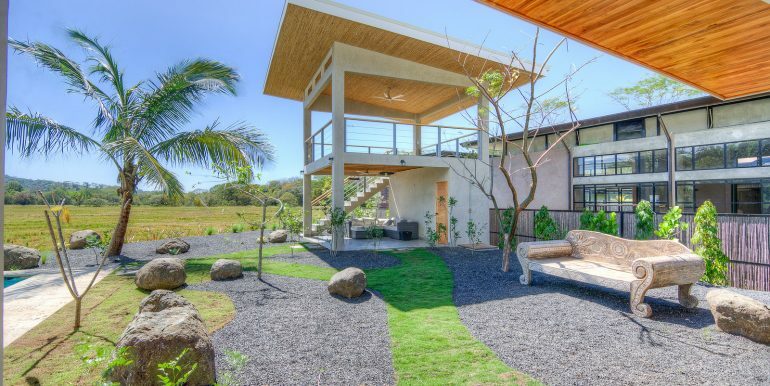 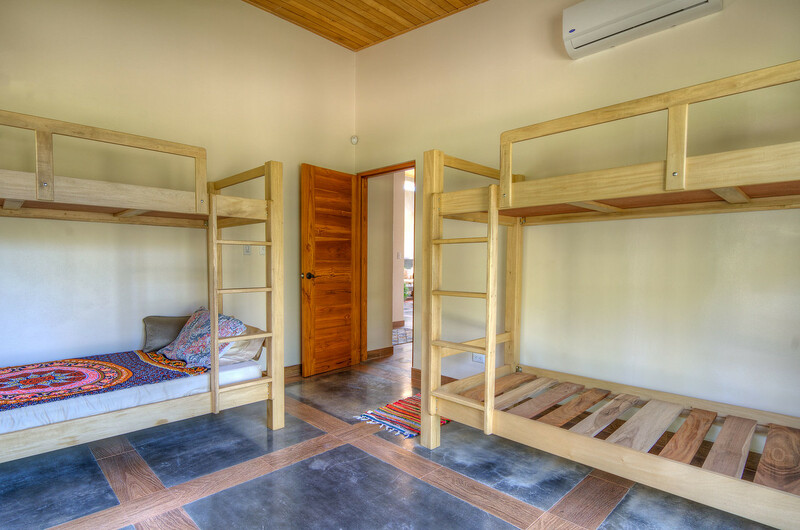 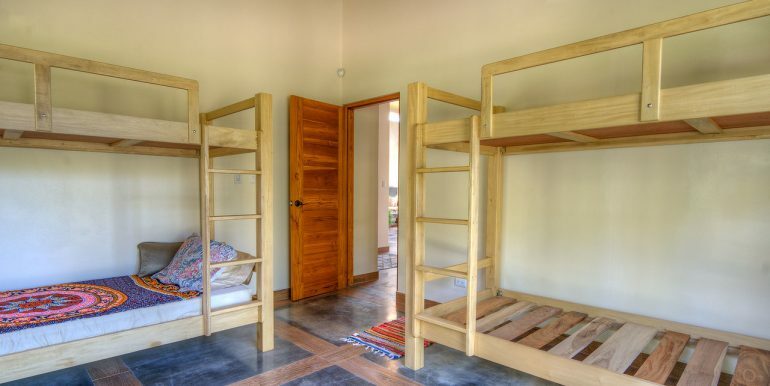 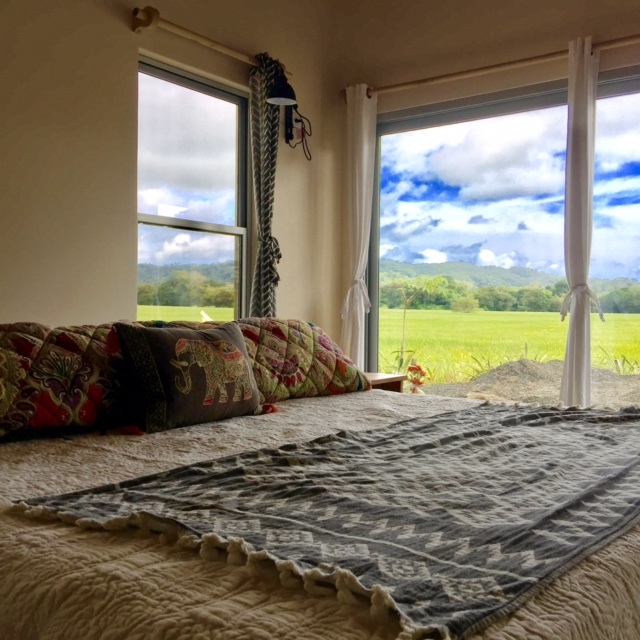 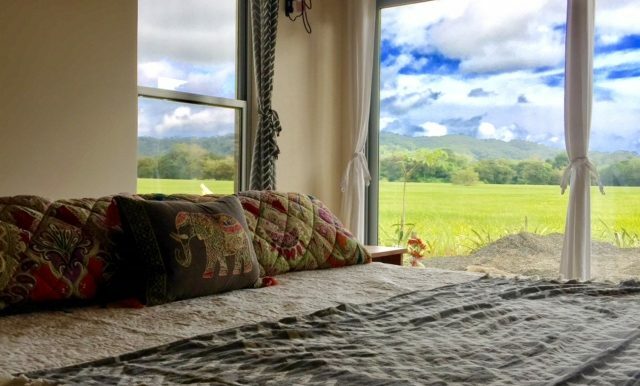 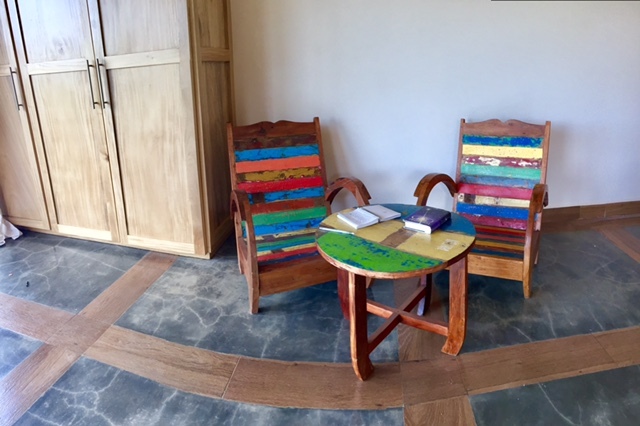 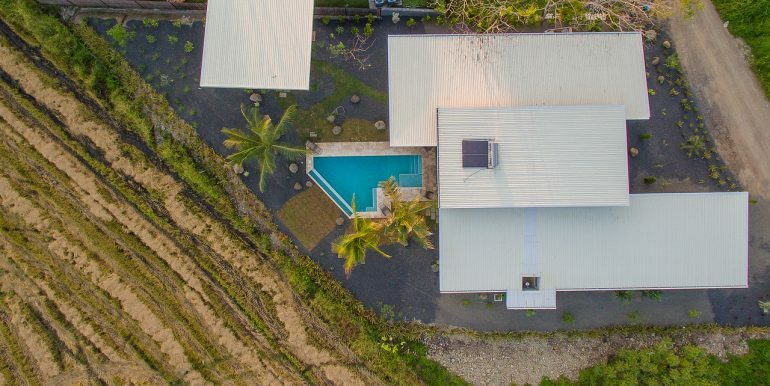 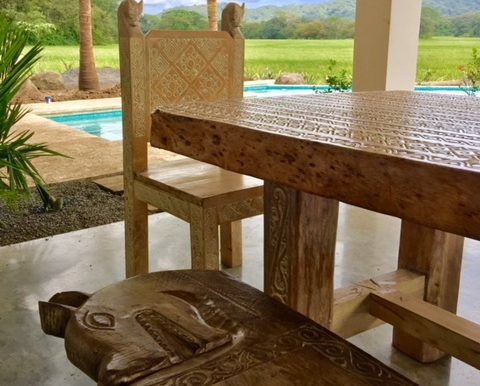 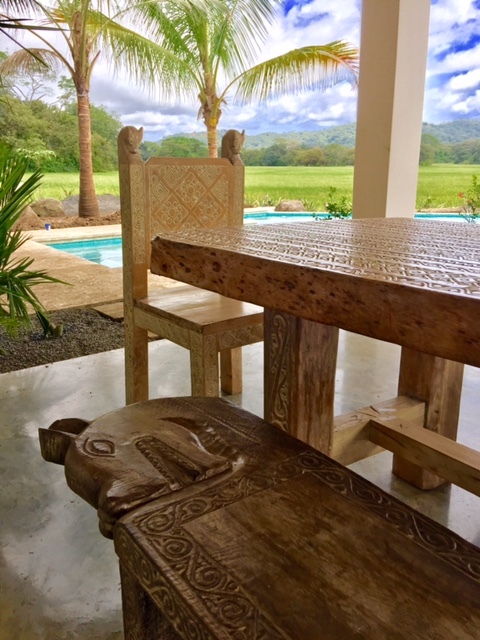 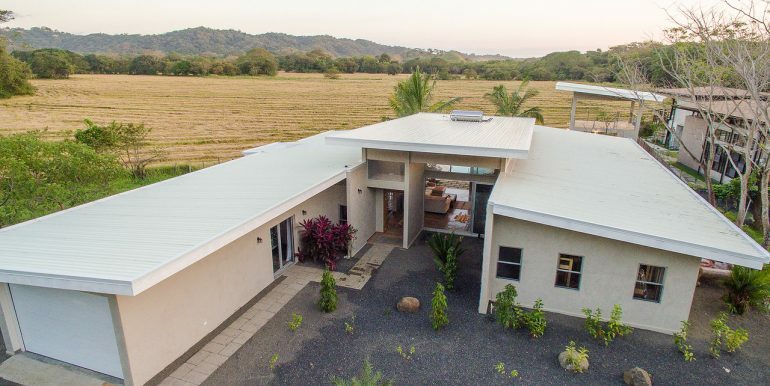 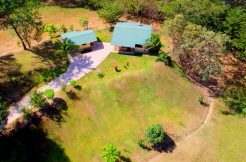 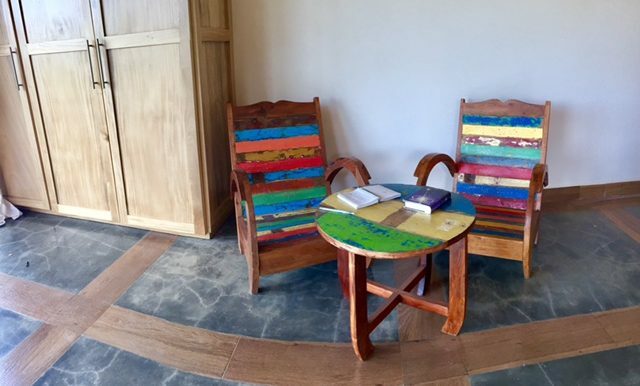 The Rancho is a two story structure with a beautiful second story platform for yoga and meditation with incredible rice paddy and mountain views. 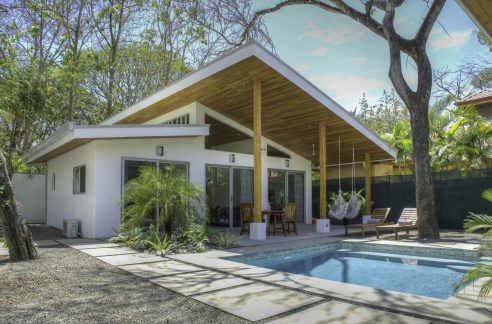 Below is a shaded area for relaxing by the pool and can be converted to a separate guest suite. 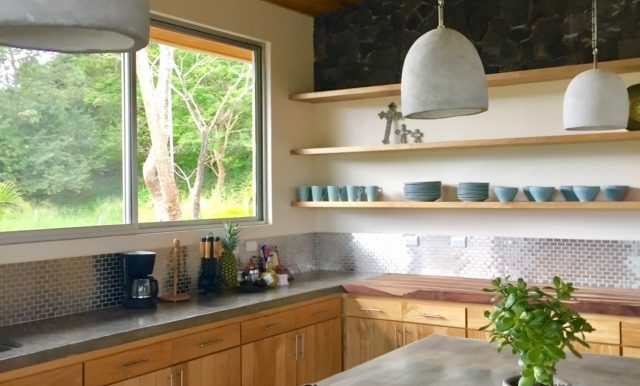 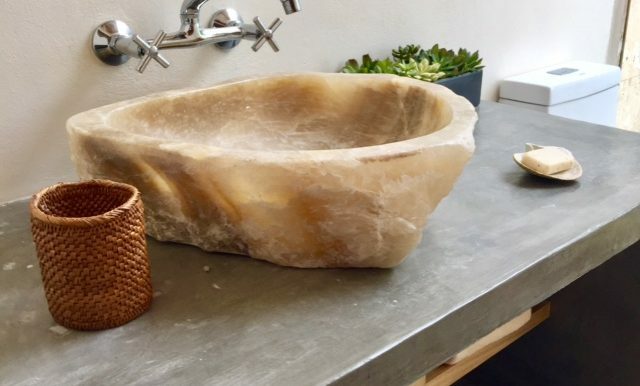 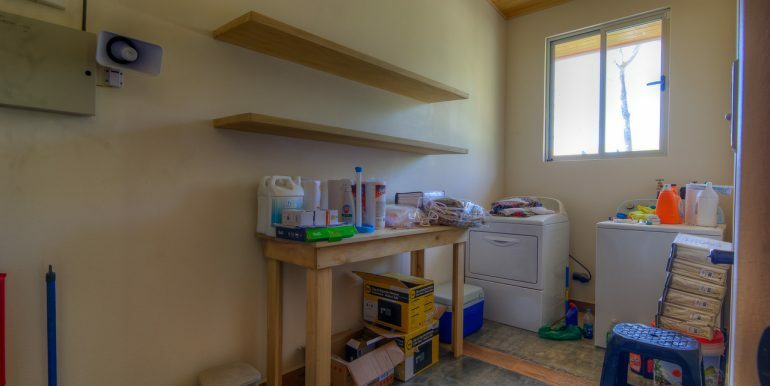 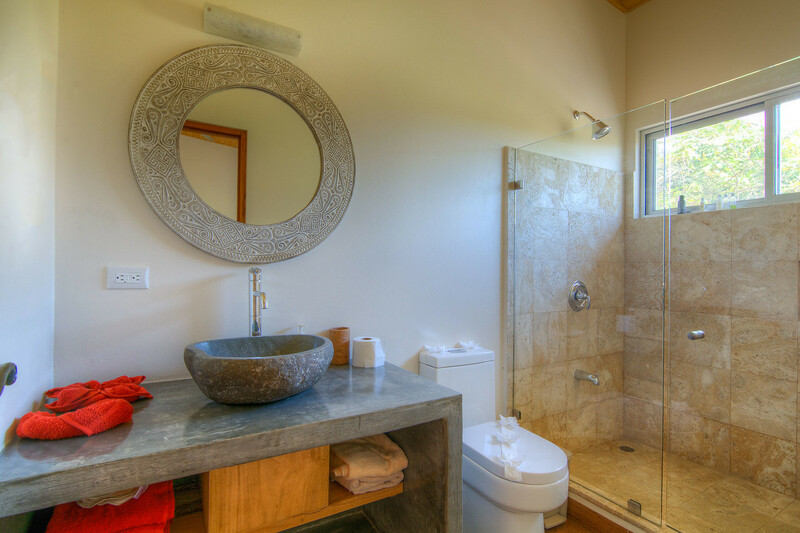 Everything from the flooring, kitchen amenities, tiles and other fixtures are of the highest quality. 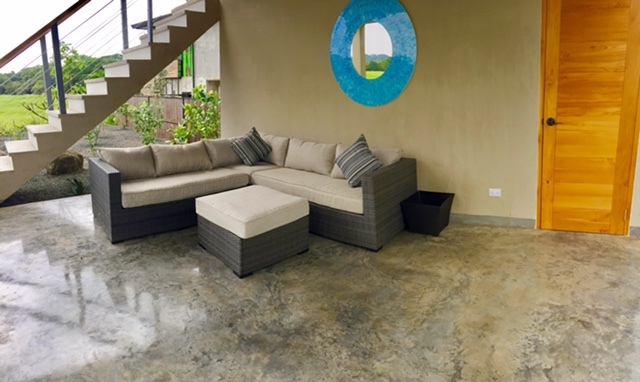 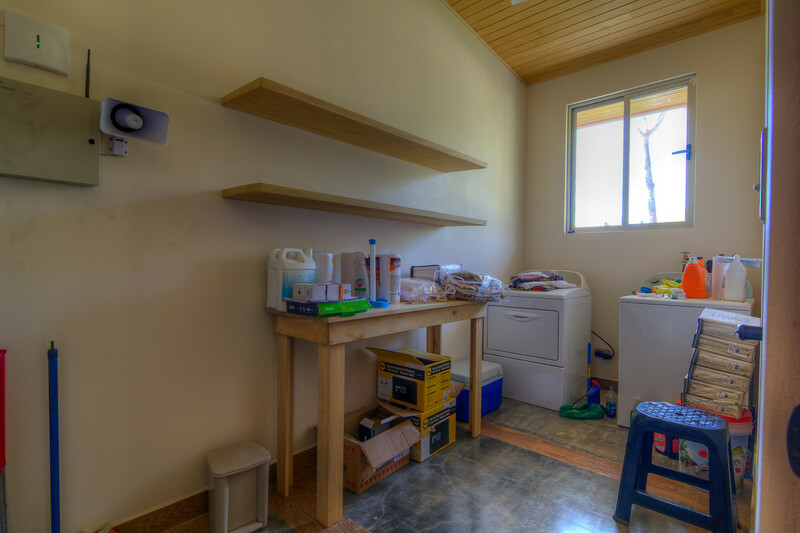 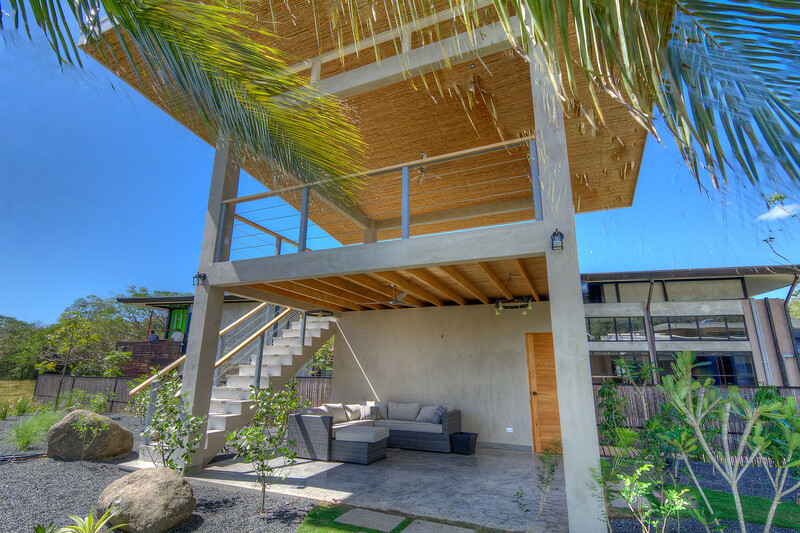 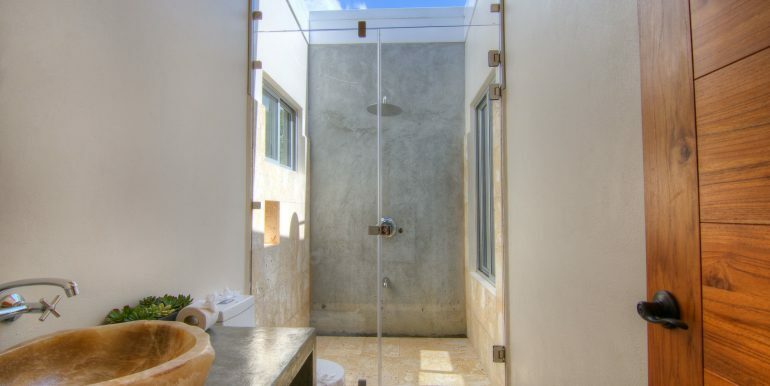 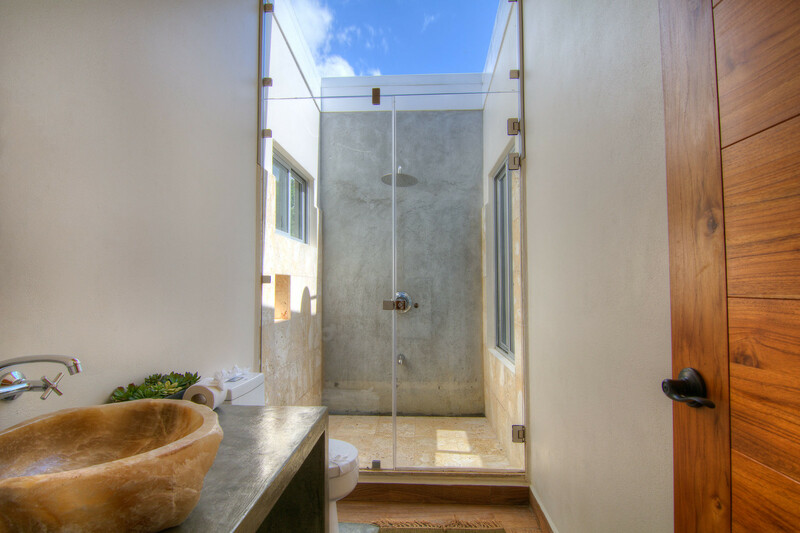 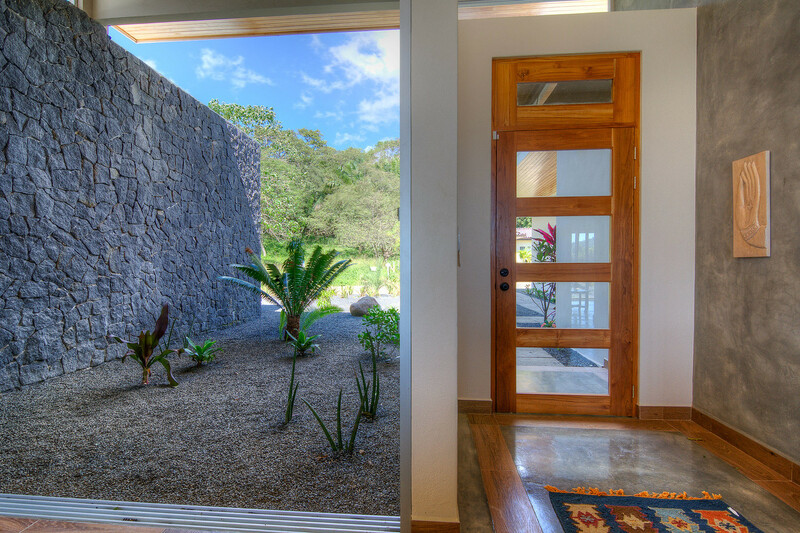 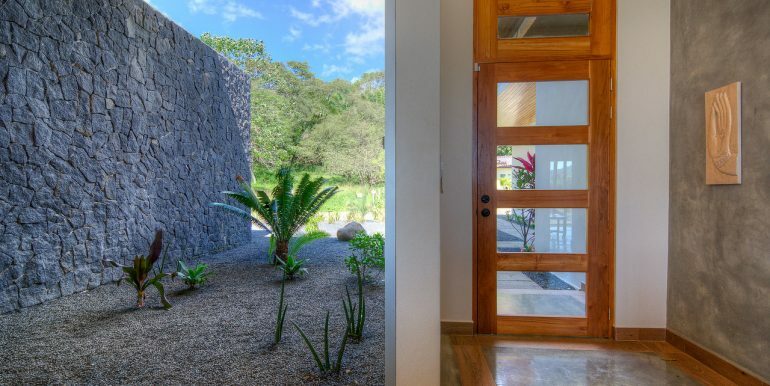 This neighborhood is perfect for those that are looking for privacy yet access to all the amenities of Playa Guiones. 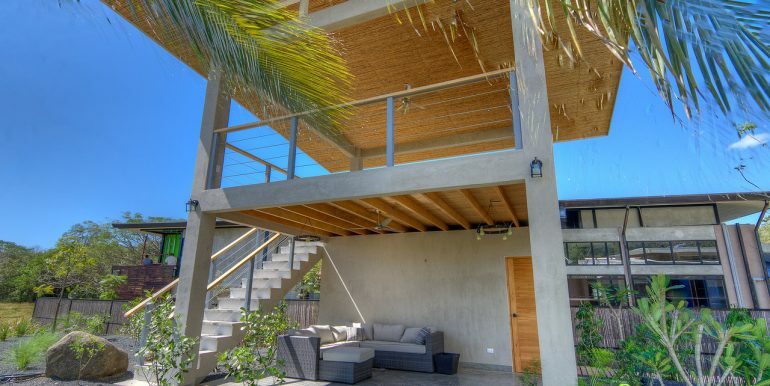 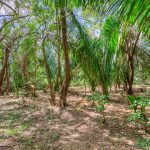 The community has it’s own beach access, 24/7 security, and underground utilities. 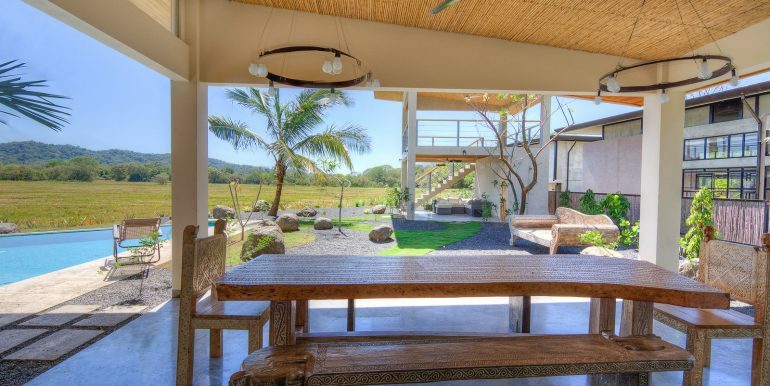 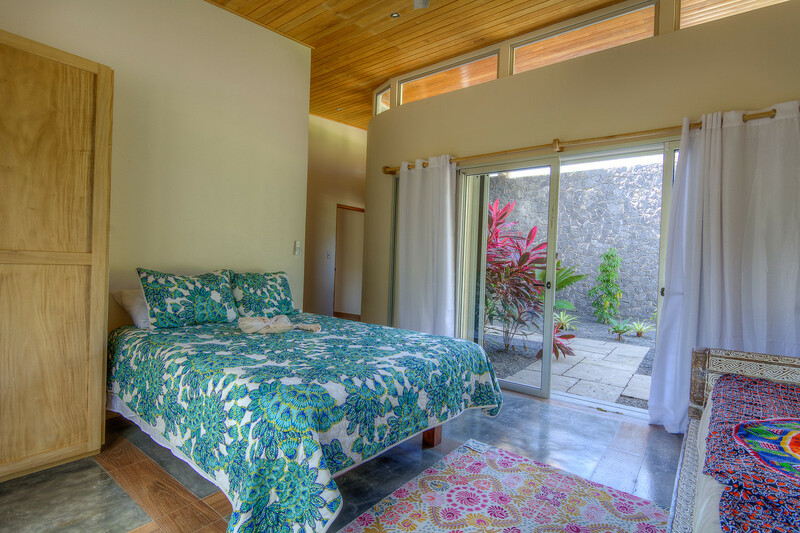 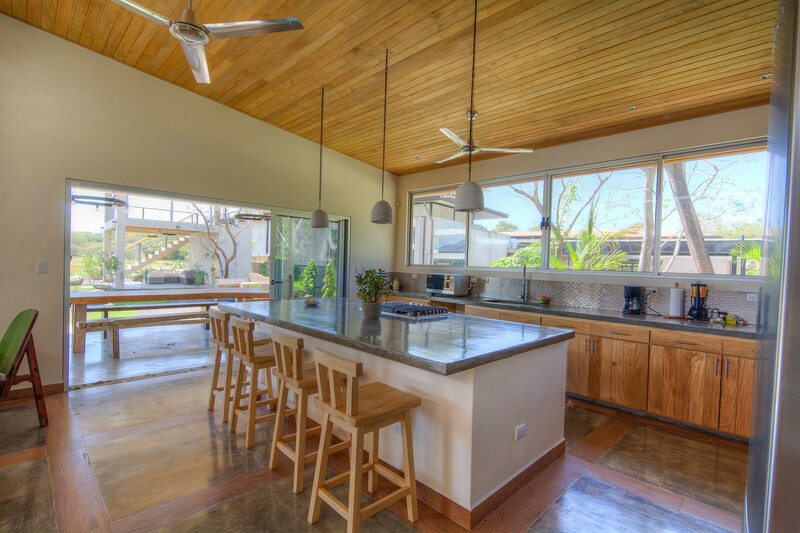 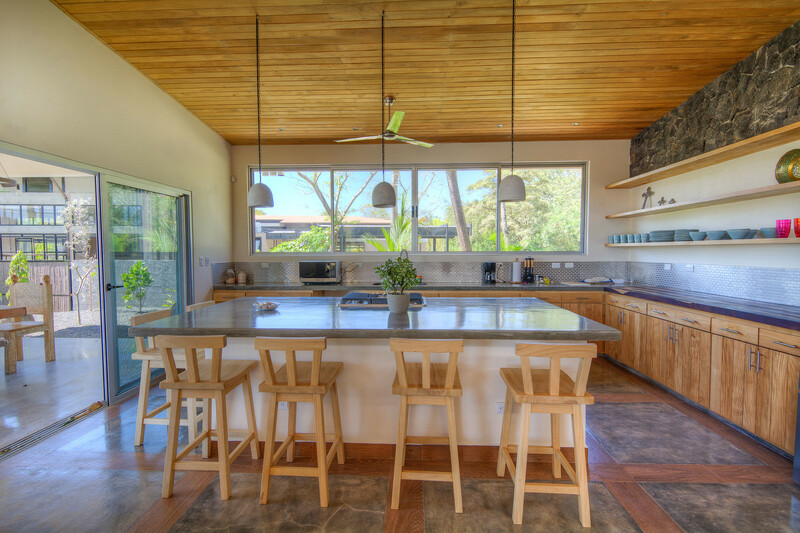 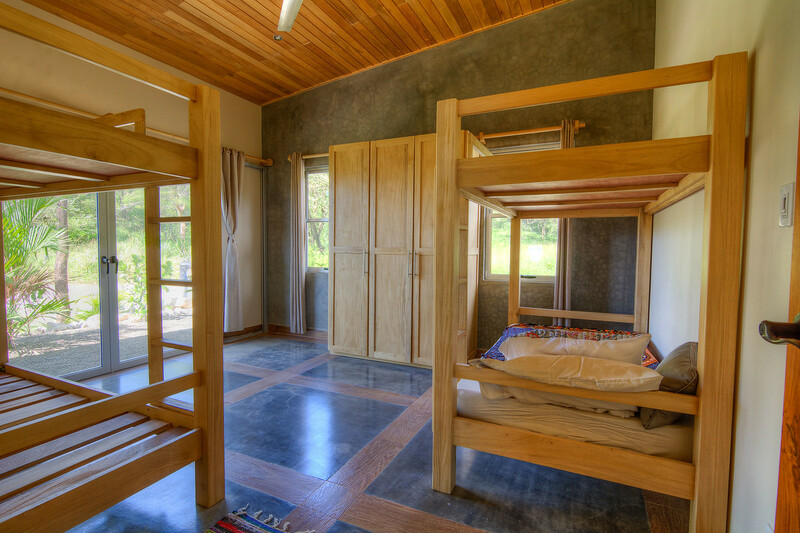 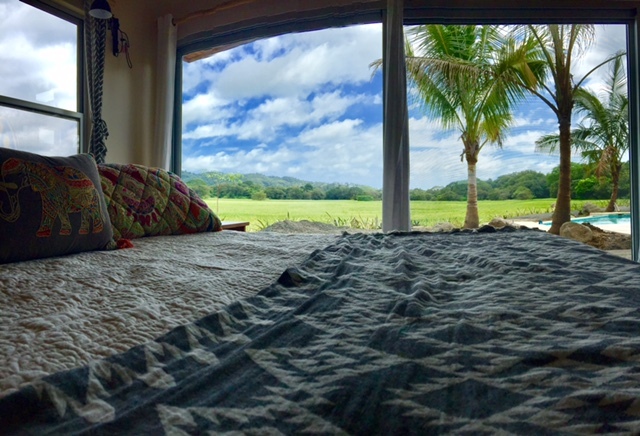 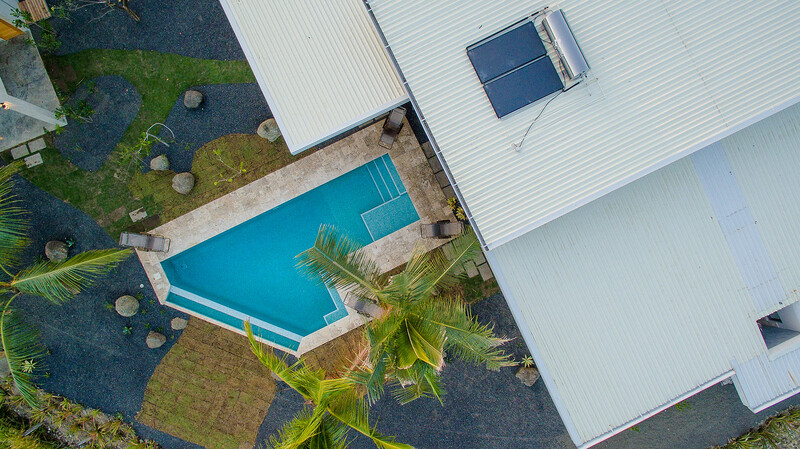 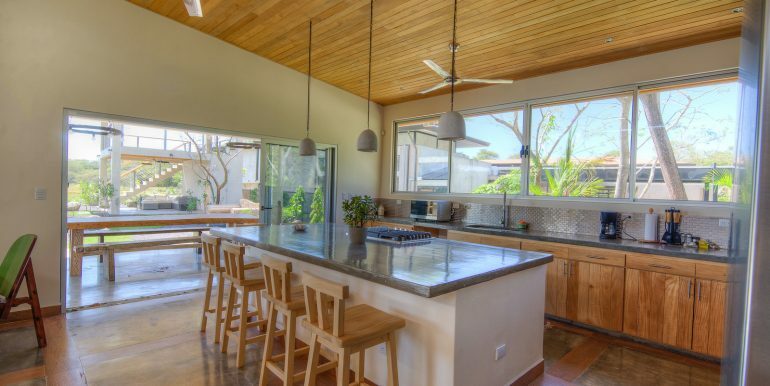 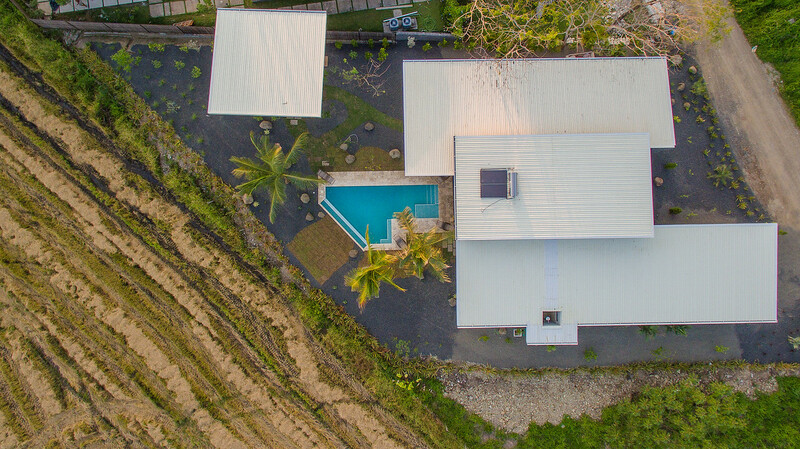 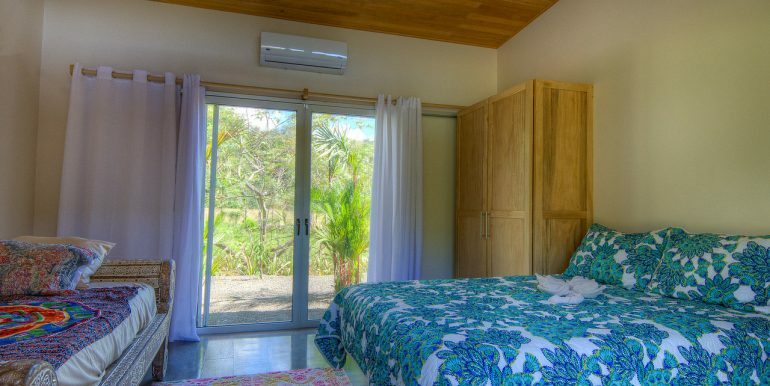 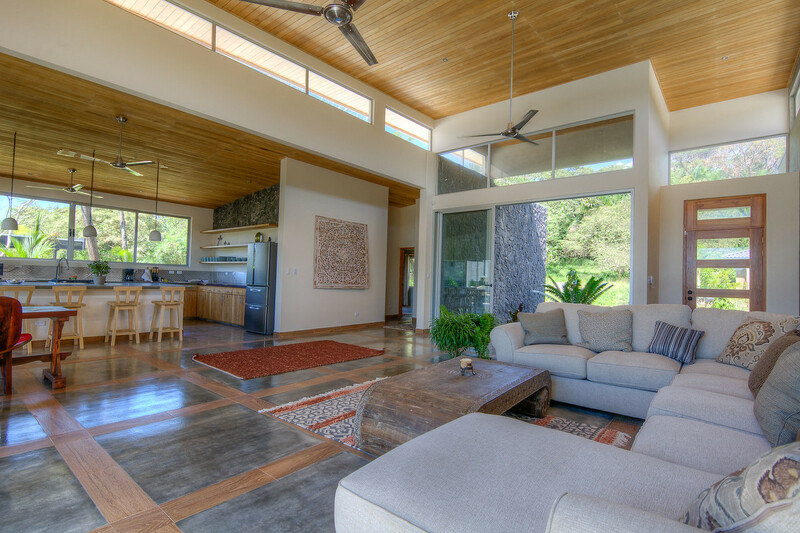 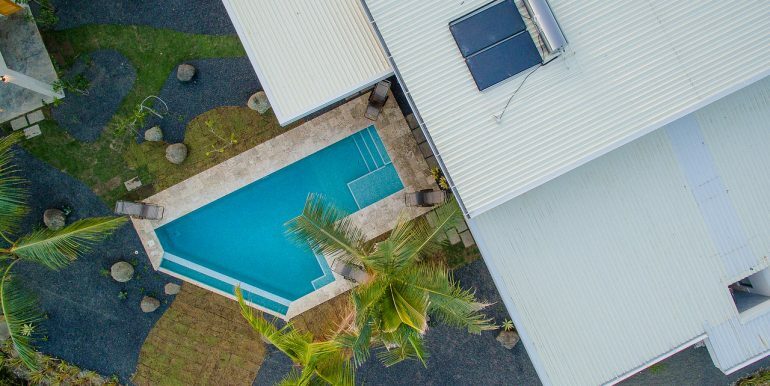 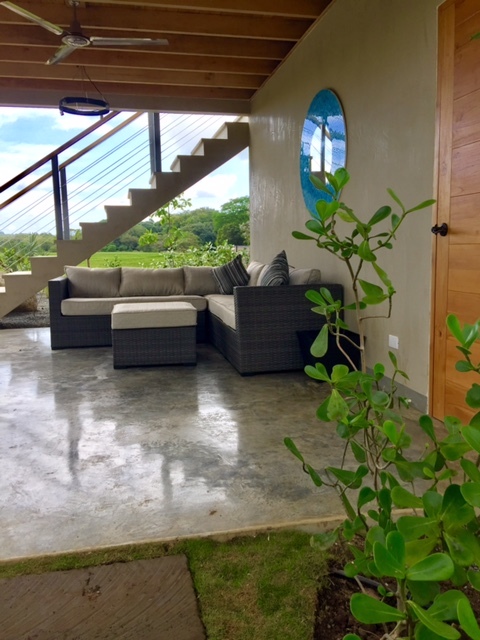 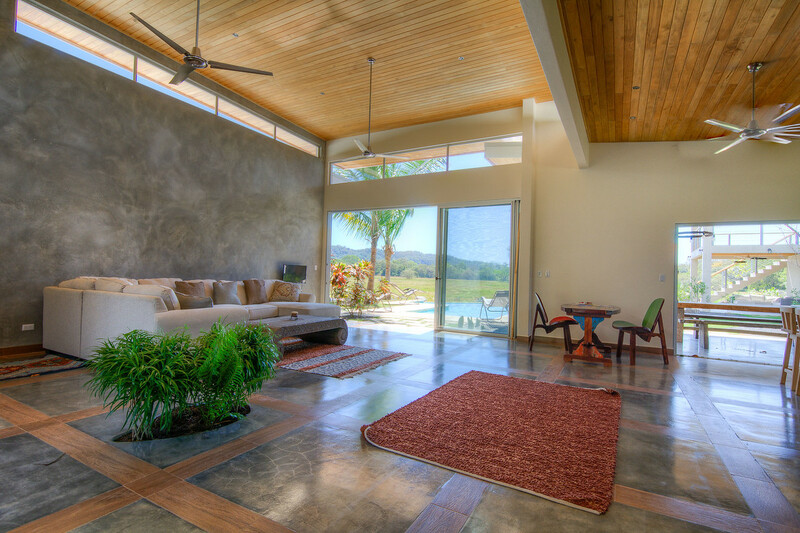 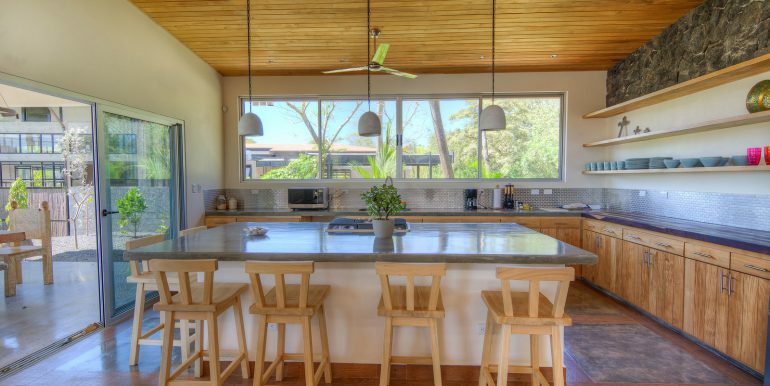 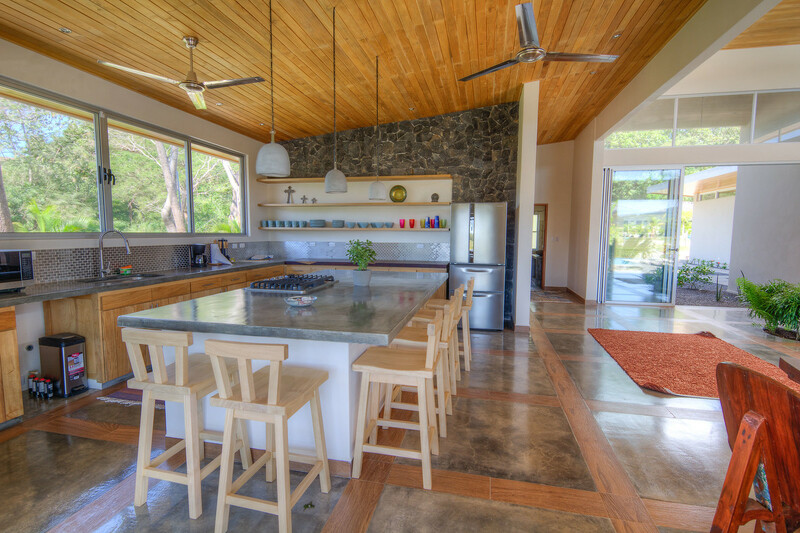 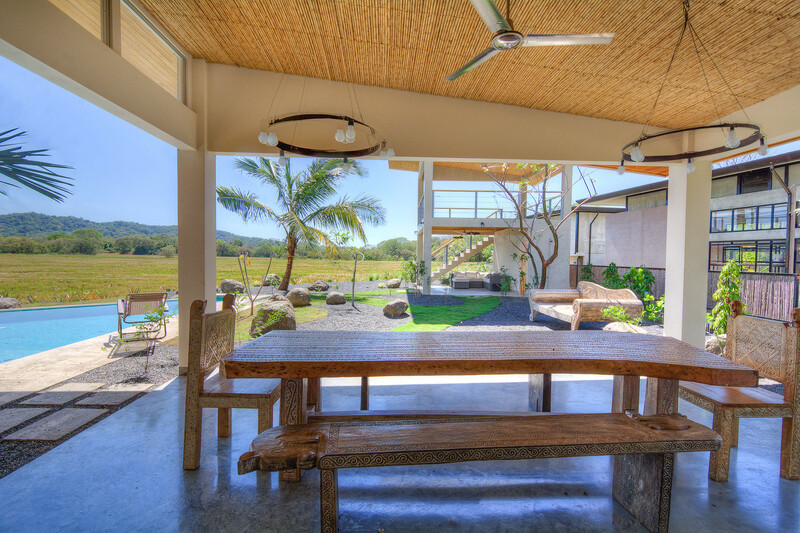 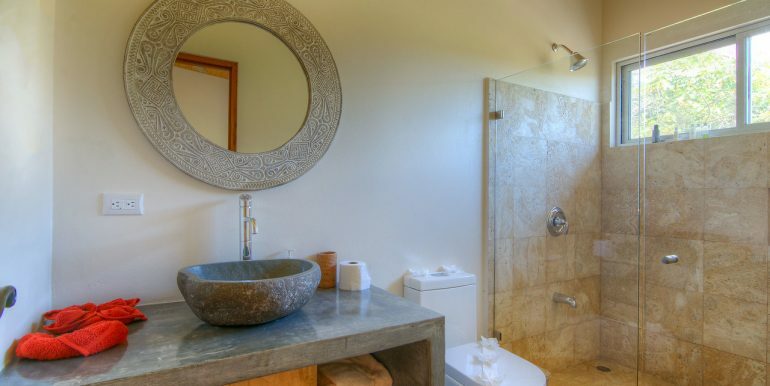 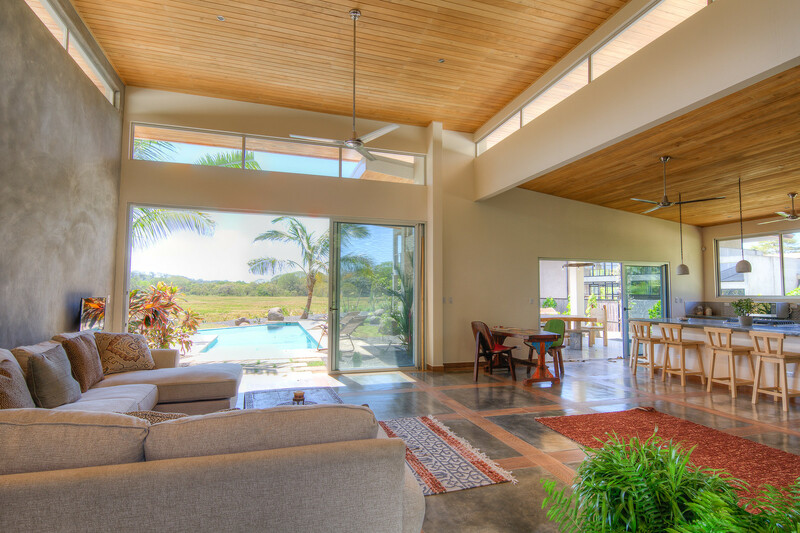 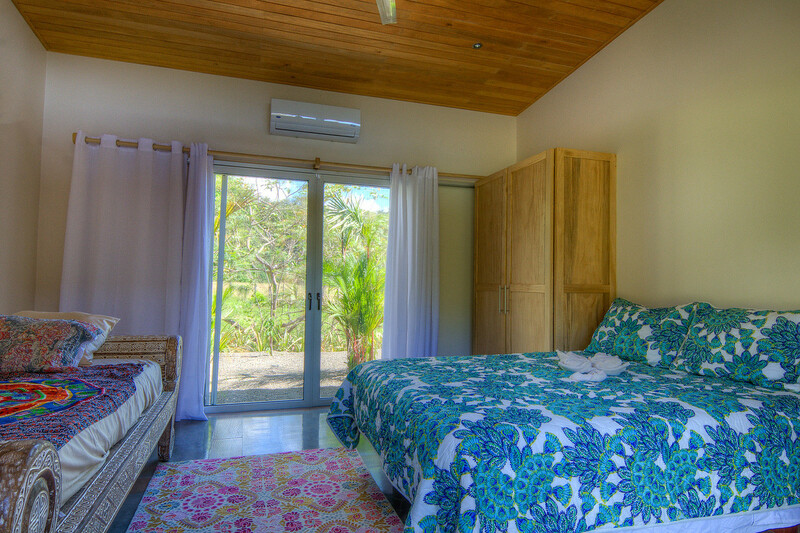 This luxury home is just steps away from world class surfing and fishing, and the famous Bodhi Tree Yoga Resort. 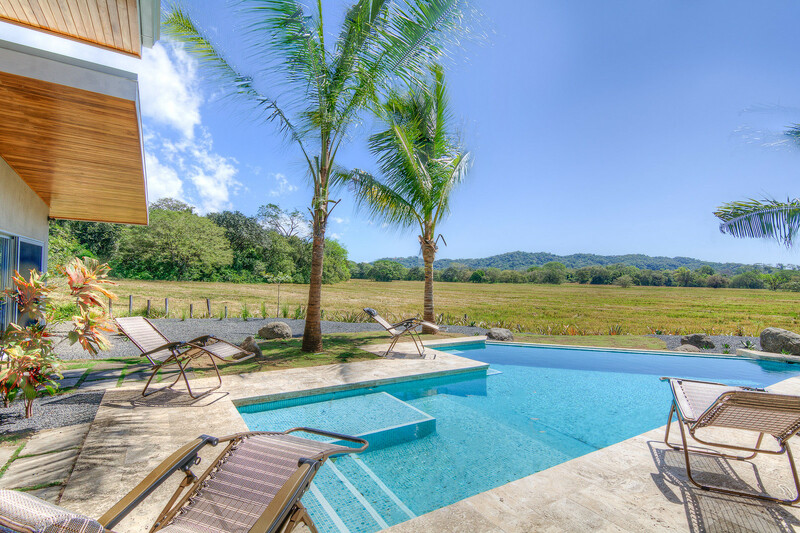 This is “Pura Vida”.